This spray painted white wicker wreath with the laser cut wooden sign Eid Mubarak is just a perfect decoration for Eid celebration. If you want different colors for the flowers or the wooden sign message me. 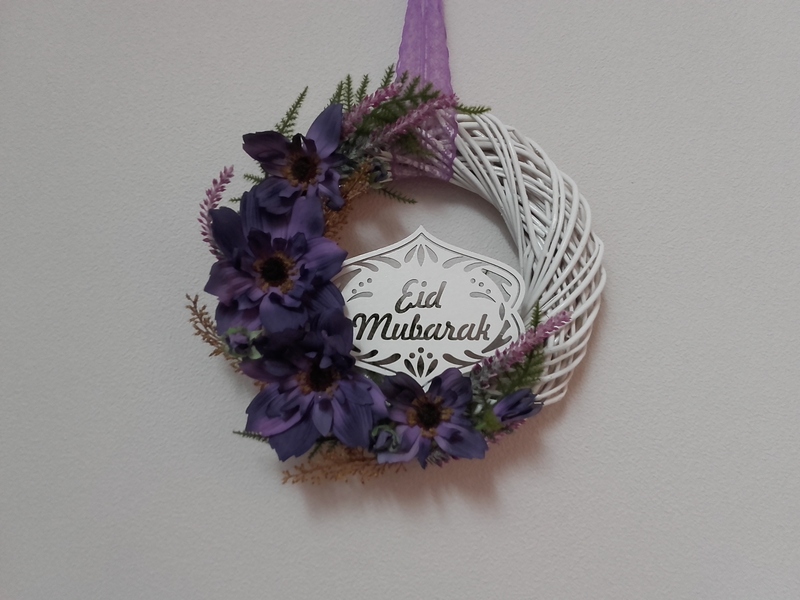 This wreath can be also made with an Eid Mubarak wooden sign in sha Allah. They are customizable. Diameter of the ring is 25 cm. The sign is 14 cm.